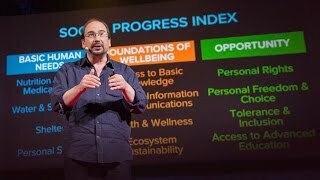 How do we measure progress and prosperity? Metrics – such as Gross Domestic Product (GDP) – keep count of an economy’s current market value but are unable to detect whether a population is happy, restive or on the brink of upheaval. Failure to understand long-term, sustainable prosperity can have a negative impact on businesses and investors. To address these issues, Michael Green, economist and CEO of the Social Progress Imperative, worked with legendary strategy expert Michael E. Porter of Harvard Business School to formulate a complementary metric: the Social Progress Index (SPI). With a rare combination of statistical aptitude and passionate, eloquent oratory, Green offers investors data-driven guidance on where their capital will face the least long-term risk – and make the most positive impact on the world. 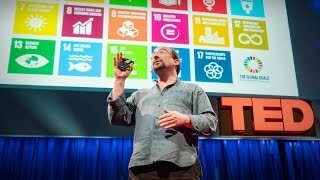 As Green reveals in one of his powerfully argued TED Talks, the SPI goes beyond market value to determine whether supply chains, economies and societies are truly sound, equitable and worth investing in. His methodology helps to inform sustainable business practices and investments at a time when social responsibility is more important than ever to consumers. The SPI is also a powerful tool to track progress towards the UN Sustainable Development Goals (SDGs). Given the rising interest of businesses in sustainability and the SDGs as a metric, Green’s insights and forecasts are of enormous benefit to forward-thinking leaders and investors. Taking into consideration such factors as the environment, social inclusion and equality, health and education, the SPI achieves a more holistic picture of a nation’s economic prosperity and stability. GDP counts aspects of the economy such as prisons and weapons manufacturing while ignoring the environment and social harmony. Economic prosperity and social progress can diverge dramatically: a society can have a high rate of GDP growth, but that does not mean one should invest there if it is on the brink of implosion or war. Using such examples as the “Arab Spring,” Green demonstrates how traditional economic metrics are insufficient at capturing the complexities of our world and fail to alert us to impending risks – or opportunities. Author of “The Road from Ruin: How to Revive Capitalism and Put America Back on Top” (2011) and “Philanthrocapitalism: How Giving Can Save the World” (2009), Green is a leading authority on practicing socially responsible capitalism. His keynotes and advisory work provide value for both the public/nonprofit sector and profit-making firms. Green, a former senior official with the British government’s Department for International Development, aids governments in devising better policies for promoting inclusive economic growth, and NGOs in measuring the effectiveness of their philanthropic endeavors. He also helps companies ensure socially responsible supply chains, and asset managers make value-driven investments with sustainable returns. Green’s TED Talks have been viewed more than three million times. His 2014 talk was chosen by the TED organization as one of the “Most Powerful Ideas” of the year and by The Telegraph as one of the 10 best ever. Michael Green is available for paid speaking engagements, including keynote addresses, speeches, panels, and conference talks, and advisory/consulting services, through the exclusive representation of Stern Speakers, a division of Stern Strategy Group®. There is often an unfortunate assumption that a society’s economic growth must come at the expense of the environment and social equality. To get rich, we have to give up some of our happiness, the argument goes. Michael Green says the facts do not validate this conclusion. Indeed, material prosperity and sustainability, inclusiveness and social justice typically go hand-in-hand, and societies that sacrifice these latter values for GDP growth are fostering long-term instability that will ultimately threaten their wealth and well-being. 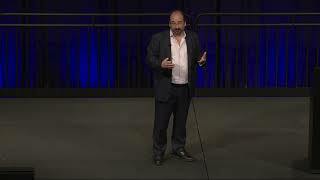 In this presentation, Green provides an overview of his methodology for measuring real progress in an economy. He further offers tools and solutions for changing one’s perspective about prosperity and implementing an inclusive growth strategy. Ultimately, Green aims to inform the audience on the best ways to ensure inclusive, sustainable economic or business growth in a world that often feels it is hopelessly divided and endangered. In an era of increased environmental and social risk – as well as enhanced public focus on sustainability – businesses must consider the integrity of their supply chains and reputations. Sourcing tin from a mine that abuses its workers, or timber from loggers who illegally strip the rainforest, can expose a company to a storm of public outcry and regulatory scrutiny. And a business model that operates unsustainably – such as by depleting natural resources or collaborating with deeply unpopular governments – will ultimately cost its stakeholders financially. In addition to providing a macro overview of the global and national economies, Michael Green’s Social Progress Imperative offers insights on micro level issues relating to supply chains and the impact of one’s business on local communities. Such methodological tools as Green offers are indispensable for global corporations who may be unaware of practices within their organizations (or on the part of their suppliers) that endanger their reputations or profits. This presentation elaborates on Green’s risk management tools and is geared toward major companies as well as asset managers who want to ensure that they are making sustainable, socially responsible investments. Through his measurement of social progress in the present, Michael Green has a unique view into the future of countries and communities throughout the world. 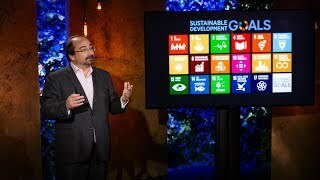 Drawing on his data, Green can show organizations – whether governments, NGOs, businesses or investors – where the most stable and prosperous societies of tomorrow will be, and where instability, unhappiness and environmental degradation will take a toll. Using such tools as his “skills map,” which links specific skills to progress and shows which cities and countries will have or lack such strengths in years to come, Green informs decisions on policy, choosing locations for investment and what kind of philanthropic efforts are most likely to pay off. 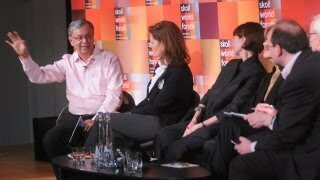 This presentation, which can be tailored for diverse audiences across regions and industries, focuses on Green’s perspectives on the future of work, cities and the world.